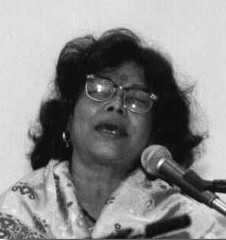 The music sensation Singer Nirmala Mishra, who made her place in every heart by her unique voice & musical talent, is known for her songs whether its Dhrupad, Classical, Adhunik or other. Let’s read the details of Singer Nirmala Mishra early life & family background. Singer Nirmala Mishra was born on Durga Saptami (Thursday) to a family that was attached to singing arena. Ancestral house of Singer Nirmala Mishra is at Majilpur Joynagar Paschimbanga which is near to Legendary Singer Hemanta Mukhopadhyay who lived in Bahuru. Later, Father of Singer Nirmala Mishra came to Chetla, Kolkata with his family for professional & singing works. Singer Nirmala Mishra was so fun loving & rough-n-type types of girl that her mother used to call her ‘Jhamela’ in her childhood days. Family Background of Singer Nirmala Mishra: Father of Singer Nirmala Mishra was awarded by three Singing Titles from Kashi Sangeet Samaj and the titles are ‘Pandit’, ‘Sangeetratna’ & ‘Sangeetnayak’. Thus the father name of Singer Nirmala Mishra is Sangeetrathna Sangeetnayak Pandit Mohinimohan Mishra and the mother name of Singer Nirmala Mishra is Bhabani Devi. The original surname of this family is ‘Bandopadhyay (Banerjee)’ and the surname ‘Mishra’ was awarded to them. Father of Singer Nirmala Mishra worked in a Merchant Office in Kolkata. Late Murarimohan Mishra, elder brother name of Singer Nirmala Mishra, was also a well-known Musician. Search Tags: Singer Nirmala Mishra Birthday house address phone number, Singer Nirmala Mishra parental house family background life of Singer Nirmala Mishra father mother brother husband names Singer Nirmala Mishra childhood early personal life Singer Nirmala Mishra.